Mbarara District has both ends of the life spectrum well portrayed. On one end is the urban municipality with “woke” youth accessing multiple health centres, schools and enviable lifestyles, while rural Bugamba Sub County lies on the other. Between the two lies a tedious two hour drive characterised by eroded and hilly roads. In both places are young people with unmet Sexual Reproductive Health and Right Needs, but since the exposure in town is high, Bugamba young people call for more attention; especially because they have one health centre to run to, and youth friendly services are scarce. On 2nd February 2018, RAHU held the U-Decide stakeholders’ meeting at Adit Mall, Mbarara district, mainly aimed at introducing to the district officials the new SautiPlus e-referral card system, alongside the peer educators and health workers who would then be trained on how it is used. The meeting sat stakeholders like district leaders, health workers from Mbarara district health office, Reproductive Health Uganda and Thinvoid. 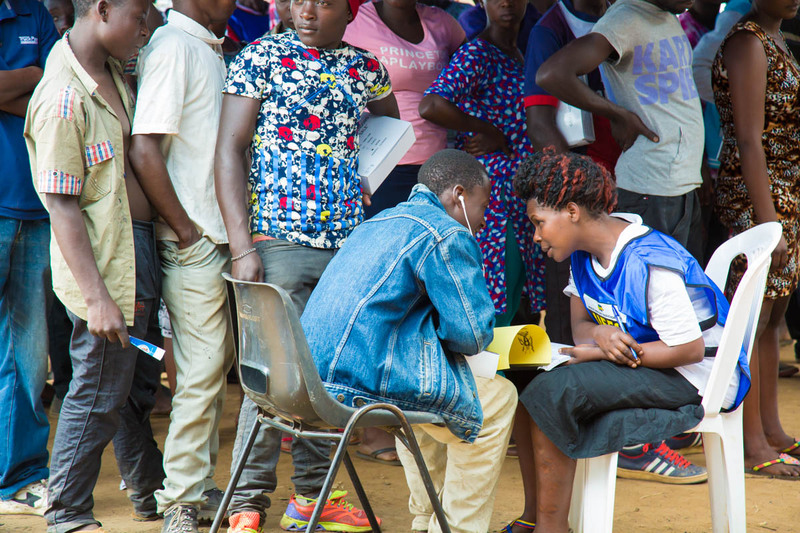 For Bugamba, and other hard to reach communities like Rugando, it was noted that the peer educators sent there play a very critical role acting as a connection between their peers/ young people to health workers and health services. They are a vital channel for Sexual Reproductive Health information. In the same vein, the SautiPlus referral card was welcomed, for it would have a similar effect; enabling young people to know where and how to access youth friendly services, while maintaining confidentiality of their identity and the services sought. The Mbarara District Chief Administrative Officer Mr Alfred Byamukama earmarked it as an extraordinary intervention by young people for young people. “The systems RAHU (SautiPlus e-referrals) has introduced are extraordinary. They encourage young people to seek SRH services and provide a wide range of information. It is amazing watching what young people can do for each other and the fact that they have made an initiative to make their SRH rights a priority is what we need in our society to create an impact.”– Mr Byamukama noted. Dr Peter Ssebutinde, the District Health Officer of Mbarara District also called for more innovative approaches to attract the youth, to receive SRHR services. “There’s need to use more attractive mobilisation strategies like soccer and edutainment for youth, continued mentorship for service providers and peer educators and engaging of more service providers to interact with these peers and young people” he said. “So many young people have sexual reproductive health problems and don’t know how and where to get help. We must appreciate the work of organisations like RAHU that provide platforms for young people to reach out for help and services.” Dr. Ssebutinde added. The meeting also highlighted the need for more involvement of stakeholders in bringing the SRHR services closer to the young people in the areas of Rugando and Bugamba. U-Decide is a two year innovative intervention in Mbarara by Reach A Hand Uganda and Reproductive Health Uganda in partnership with Rutgers to ensure continued empowerment of young people with Sexual Reproductive Health information through a peer to peer led approach. It is aimed at involving and empowering young people to actively participate in SRHR programming at the grassroots level and to ensure access to youth friendly SRHR information and services.